I started this blog for myself, as a journal, but it has morphed into something a little different. 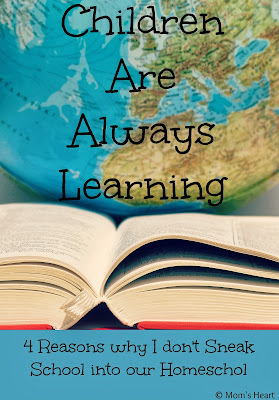 It is still my journal and a chronicle of our homeschooling journey, but I also enjoy sharing with others how we homeschool, what we use, and why we homeschool the way we do. I hope my reviews and ramblings are useful to someone. I decided to look over my top posts for the year, and it is fascinating to see what draws other people in and how they connect with me as a mother and a homeschooler. So without further ado, here are my Top 10 in 2013, you know, in case you missed any and want to see what all the excitement was about! I don't believe in formal lessons until about age 6, but my 4 year old wants to "do school" just like his big brother. So I have to carefully consider how I want to approach activities with him. Math is my 7 year old's favorite subject, and this was not only one of the top viewed posts, but one of our top five schoolhouse review items as well. I struggled writing this post, because the topic was "Sneaking School into Busy Days" but this is what came of it. While this has been adjusted and tweaked along the way, this was my plan at the beginning of the school year. 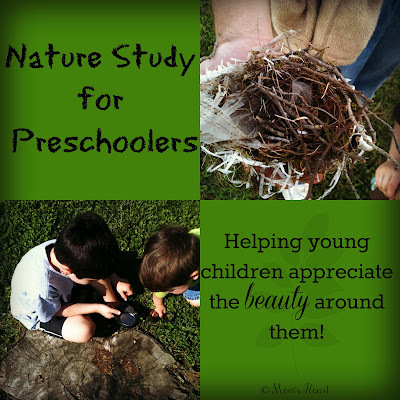 I was terrified to start nature study with my kids when we first started homeschooling, but it turns out that it is one of the easiest subjects to teach, and one of the easiest ways to ease preschoolers into a natural love of learning. Many people will tell you that you need a curriculum for preschool, or at the other end of the spectrum, that you need nothing. 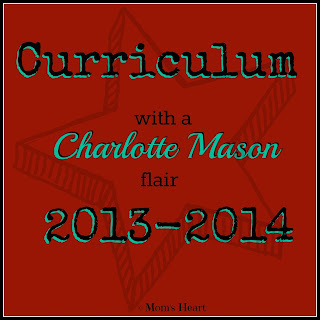 I try to strike a balance by planning my own age-appropriate activities with a Charlotte Mason flair. This is another area where I've had to tweak and change as we move along, but some of this still stands. I'll eventually be sharing how our curriculum and scheduling has morphed throughout the year, but this is how we started the year. We are really learning to enjoy nature study, and one of the fall topics was trees. 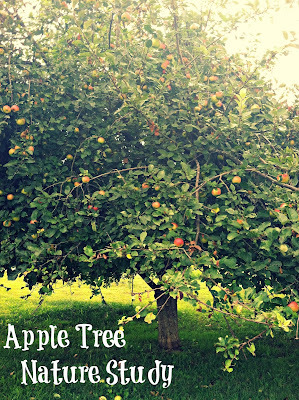 I decided we would do a year long study, and the boys picked the Apple Trees. This was the first installment from our Apple Tree study. 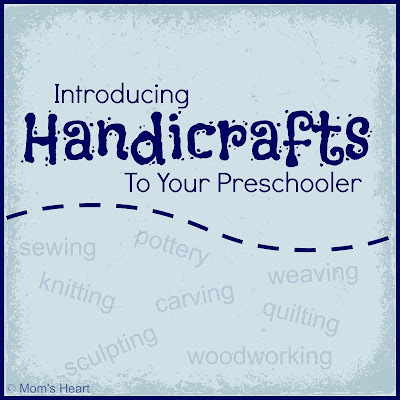 Handicrafts are an excellent way to develop fine motor skills and hand-eye coordination in preschoolers, who are almost always eager for hands-on activities. While I believe it is important not to overload our children with too many books at one time, it is also important that the books we do choose for our children be wholesome, quality literature. 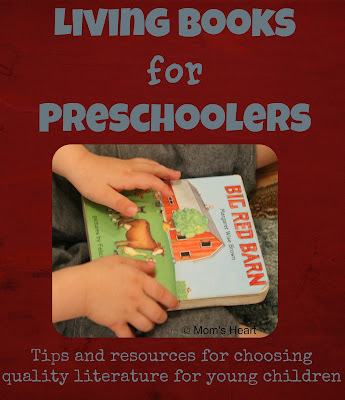 Preschoolers deserve living books too. As another calendar year wraps up, I think we all naturally begin to reflect on the year and the memories we made. We started off the the new year back and forth between the two houses and homeschooling away from home. I was trying to stay close to my midwife because I was miserably pregnant and very close to delivery. Finally, finally, after what felt like an eternity (but in reality was only two days past my due date) we welcomed our precious daughter into this world. Eleanor has added so much joy to our home, and we are so thankful for the extra love she has brought into our family. Emory is four years old now, and his birthday interview was so much fun! This boy is definitely all boy. He is also caught in the middle of still being my "little boy" and trying to be a big boy like his older brother. He is the determined, daring, emotional, impulsive, intense, but lovable little boy that challenges me. He started Junior Church this fall, he goes to co-op with us now, and he does some Pre-K work at home when he wants to, but his "school" is mostly drawing (and writing random letters as he sees fit) or preschool play more often than not. He loves to take selfies on our phone, and make silly faces. This is the Emory we know and love . . .
Elliott is already seven years old. My mind is having a hard time wrapping around this one. He is the inquisitive, precocious one, and he blows my mind sometimes. He is witty and sarcastic. He still loves all things Lego, enjoys video games and art, and even though he's our shy one, he asked to play basketball this year. I think it was only a one-time thing, but he enjoyed it. He is daddy's mini-me, and he has a heart of gold. Daddy and the boys have instilled a "Boys Day Out" that they usually do every month or two. It started as a way to get them out of the house more while the baby was still little, and give me a little rest, but it is really a great time for them. Sometimes he takes them to a new movie, sometimes he takes them to the Home Depot Kids Workshops, and sometimes he just takes them to run errands. Regardless, they love going out alone with Daddy. Other times, Daddy keeps all the kids home, and I go out sans kids, which is a rare treat. Most of the time I end up buying for the kids. One of my latest shopping sprees was at Kohl's, where I spent $11.35 and saved $221.29. I got the baby girl some clothes for late winter/early spring, and a couple things to put back for next winter. This is my kind of shopping. On a personal/blogging note, I was asked to write for Schoolhouse Teachers, and I'm super excited! Elliott is in first grade, and insisted on an interview. Emory is in Pre-K. We had an "official" first day of school mostly for ceremony, since we do not follow a strict schedule. I am learning myself that my Children Are Always Learning but that Homeschooling Takes Effort. We are adapting and figuring out our "method" as we go along. We focus on nature study, and reading good books. We do a few math and reading lessons every week, and let the rest fall into place. It is working well for us. This past year was my 2nd round with the Schoolhouse Review Crew, which has brought some new and interesting curriculum into our homeschool. It has really helped us figure out what works and what doesn't, and helps me navigate the homeschool curriculum market. Although it was a tough choice, I did narrow down our Top 5 Favorites from this last year. I am continuing on with the Crew, so I am excited to see what the new year brings us! We had a blast traveling for vacations, and the Husband and I are always looking for field trip opportunities away from home. We went on several notable field trips this year, that included many fun places in the southeast this year. 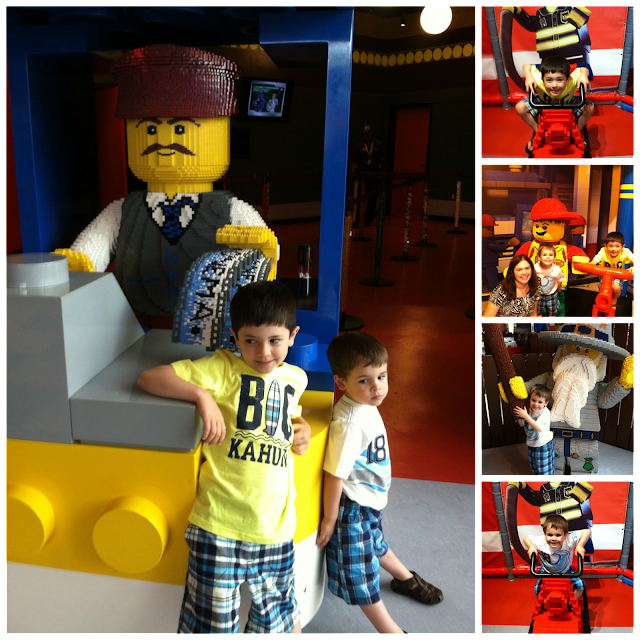 Among them were the Georgia Renaissance Festival, Martin Luther King Jr. National Historic Site, Noah's Ark Animal Rehabilitation Center, the beach (Part 1, Part 2), Ripley's Aquarium of Myrtle Beach, and the North Carolina Zoo However, the favorite of the boys two years running now was LegoLand Atlanta! This has been such a great year. It has been hard at times, no lie. 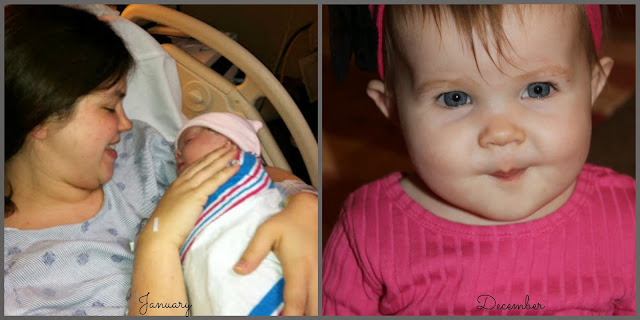 Eleanor was not an easy baby. We moved. Things were hectic at times. However, we have an amazing and supportive family, good friends, a wonderful church family, and we are healthy. I am thankful for the blessings we have received, and look forward to a new year! What a fun book! I knew when I saw the cover that my two boys would be anxious to read this one! 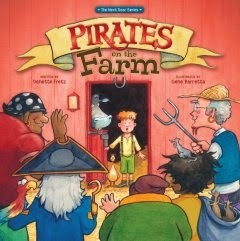 Pirates on the Farm is a delightful book about what happens when a band of pirates drop anchor and moves to the farm next door. How will those pirates get along learning to farm? What do mom and dad think of the new neighbors? How will the townspeople treat them? Denette Fretz writes with humor and engages the kids. She also smoothly intertwines a great lesson about accepting those that are different and loving your neighbor, without making the book "heavy" to read. The illustrations by Gene Beretta are fun and whimsical and just perfect for the silly antics of the pirates. preschoolers through mid-elementary age. It's recommended for ages 4-8 but there is also a pirate lingo glossary in the back, which is a fun addition. Pirates on the Farm is published by Zondervan and is part of The Next Door Series, and I will be looking forward to more of these books! I am very excited to announce that I will be joining SchoolhouseTeachers soon! 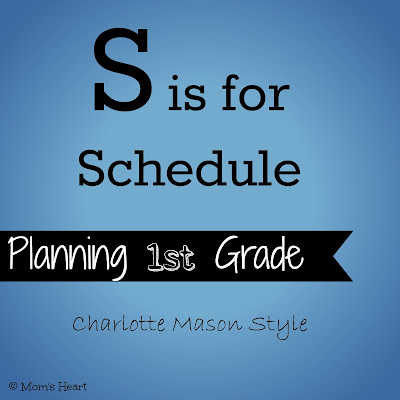 I will be combining my favorite educational method with my favorite age group, and writing a course called Charlotte Mason Preschool. 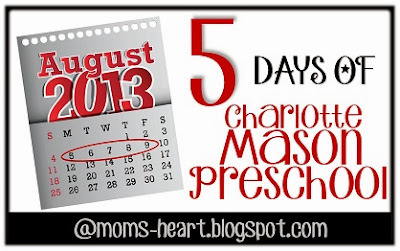 I have found that the Charlotte Mason methods are ideal for preschoolers, and the opportunities for learning and growth are rich within a Charlotte Mason inspired environment. The course, which starts in January, will be designed to help parents who are looking for engaging activities that are appropriate for preschoolers; activities that hold true to the idea that the preschool years should be informal and based on play, natural learning opportunities and outdoor experiences. 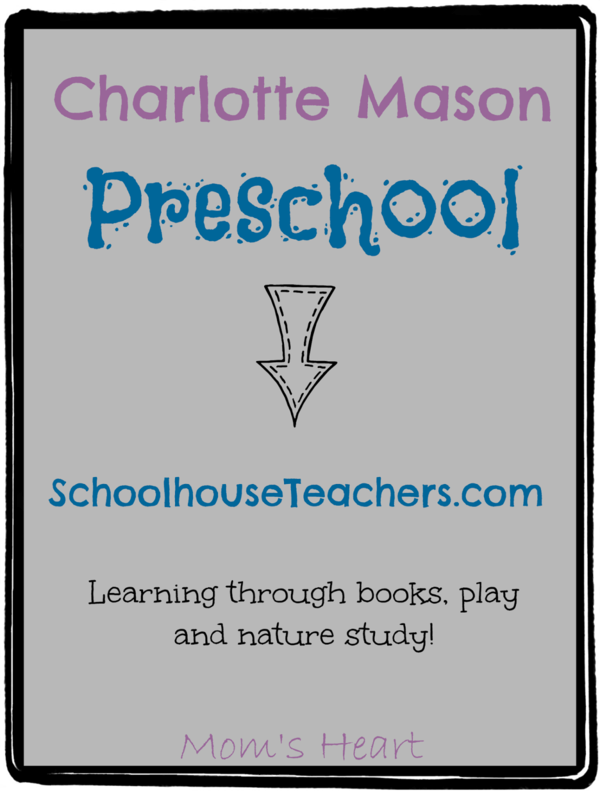 If you are a member of SchoolhouseTeachers, I would love for you to check it out, try it with your preschoolers (activities will be geared for 2-5 year old children) and let me know what you think! If you are not a member, why not? If you are not familiar with SchoolhouseTeachers, let me take a moment to tell you just how amazing they are. SchoolhouseTeachers is a division of The Old Schoolhouse, and as you know, I'm also a member of The Schoolhouse Review Crew too. They are a fantastic company to work with, and I'm thrilled to be forming another relationship with them. SchoolhouseTeachers is a phenomenal resource website where the courses are contributed by people who are talented, knowledgeable and passionate about the subject they are sharing. It's like an educational co-op full of amazing courses. They offer material from preschool to high school, and even classes for families. I'm particiularly excited about the Tinkers Club for my 7 year old. What a neat way to engage my hands-on child! There are also many courses that are compatible with the Charlotte Mason method, from nature study to art, to foreign languages, to music and more. Just to name a few . . .
That is just a small sample of the variety of courses offered through SchoolhouseTeachers. The courses change over time, some are archived and some end. It's ever-changing and evolving, but always offers something fresh and unique for your homeschool. 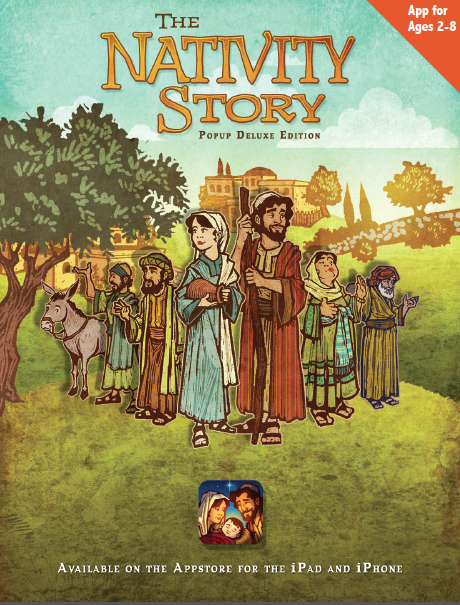 Really, there's so much offered that most families could probably homeschool everyone in the family with just this one resource. There are specific higher level math and science courses, writing courses and many other electives. The teachers come from a wide background; some are homeschoolers, some are public school teachers, some are authors, curriculum publishers, scientists, musicians, and more. I am truly amazed at the depth of the knowledge available through this one resource, and I'm honored to be joining this community! If you ever have any questions about SchoolhouseTeachers or the Charlotte Mason Preschool course, please feel free to contact me! I am a lover of chocolates and candies. I believe they even got a spot on my "Things that make me happy" list. 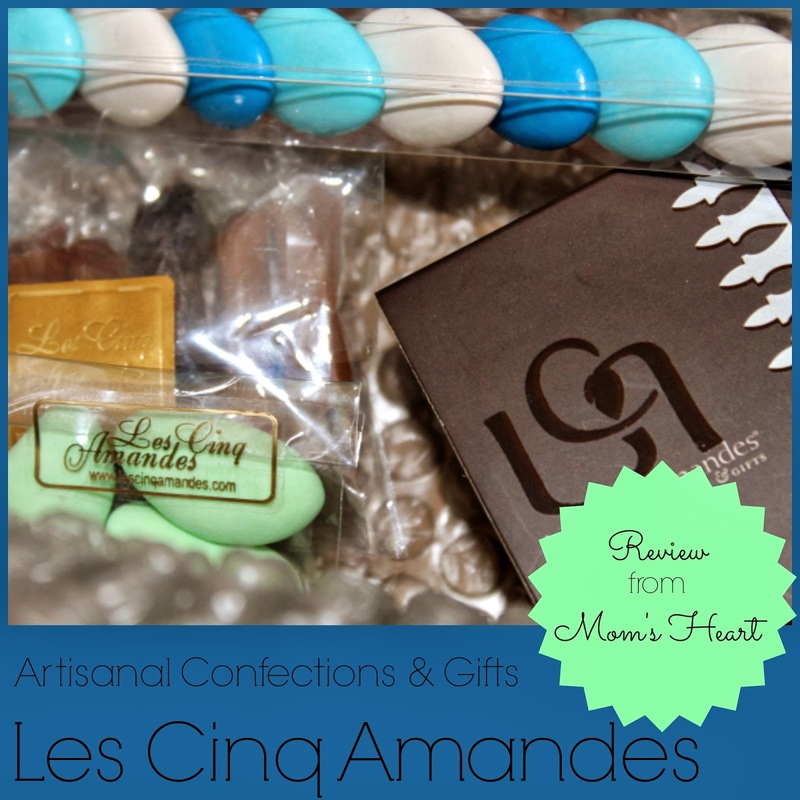 Recently I was given the opportunity to review a sample from Les Cinq Amandes, which sells beautiful artisan confections and gifts. I'm also partial to pretty things. Oh Happy Sigh! What is Les Cinq Amandes? The Five Almonds- Les Cinq Amandes is a place where artistry meets confectionery. We curate the finest candies from around the world, in an array of colors and flavors, including the Grand Cru Avola Almond, to create unique gift presentations. We also offer an interactive on line store, where customers can create their own custom gifts. Doesn't it sound lovely already? As part of my sample package, I received the Chocolate Dragées, Petite Pistachios, Chic Caramel, Tiramisu Seduction and Orange Peel Fait Maison. I was so excited to try such a variety of flavors and textures. First of all, I was delighted just to see the candy. Each individual package had such a nice presentation. Do the blue Dragées not scream little boy baby shower!? The elegant packaging didn't last long though, as we had a few eager taste-testers in our home. So here are my thoughts. The dark chocolate was rich, but not bitter or overpowering. The candy coating on the Chocolate Dragées and Petite Pistachios was not too sweet at all. All of the flavors were well balanced. My favorite, though, were definitely the caramels. All I can say is wow! The chocolate caramel was a bit firm, but still had such a decadent flavor. The traditional caramel was perfectly chewy, slightly salty, and deliciously sweet. Absolutely divine! These are a special treat, and as such are are absolutely perfect for special occasions. You can create custom orders, which means they can be personalized for just about everything you can imagine. These would be lovely additions to baby showers, or if you like to make a special gift basket for the mother-to-be, these would be a perfect addition for her to enjoy! They would also be great for bridal showers, as wedding favors, or at milestone anniversary parties. The fact that you can customize your order means they would be a great gift for the foodie in the family, or that person who has everything. Really, there are unlimited uses for these delectable and beautiful treats. Les Cinq Amandes is being kind enough to share a special discount with my readers! You can receive 10% off your purchase with the code HOLIDAY10! Daddy always makes the gingerbread houses with the boys. We've always used kits, though we're considering doing them from scratch next year. Elliott was all about piping his icing, while Emory alternated between eating and decorating. We made gingerbread cookies and homemade gingerbread ornaments. So much fun for the kiddos, and they are just thrilled to share them! Then we've also received lots of homemade goodies from people. This picture cracks me up. He is our mischievous one, if you can't tell by now. We are plowing through our Christmas read-aloud list. We usually look for an activity or two to go with a few different books. We also love watching any Christmas movies that were inspired by our favorite books. 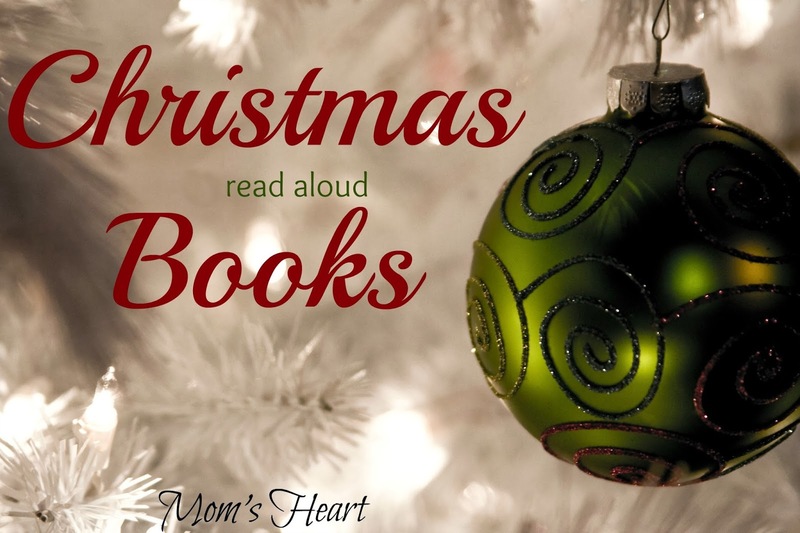 You can check out this year's list of Christmas read-alouds and activities if you need some inspiration. I included some picture books you can find online for free too. Elliott is getting old enough that he's received speaking parts the last two years. He memorizes them easily, and surprisingly (he's our shy one) he shows no signs of stage fright when he gets up there. He said his verse with ease this year and was happy to be a part of the program. 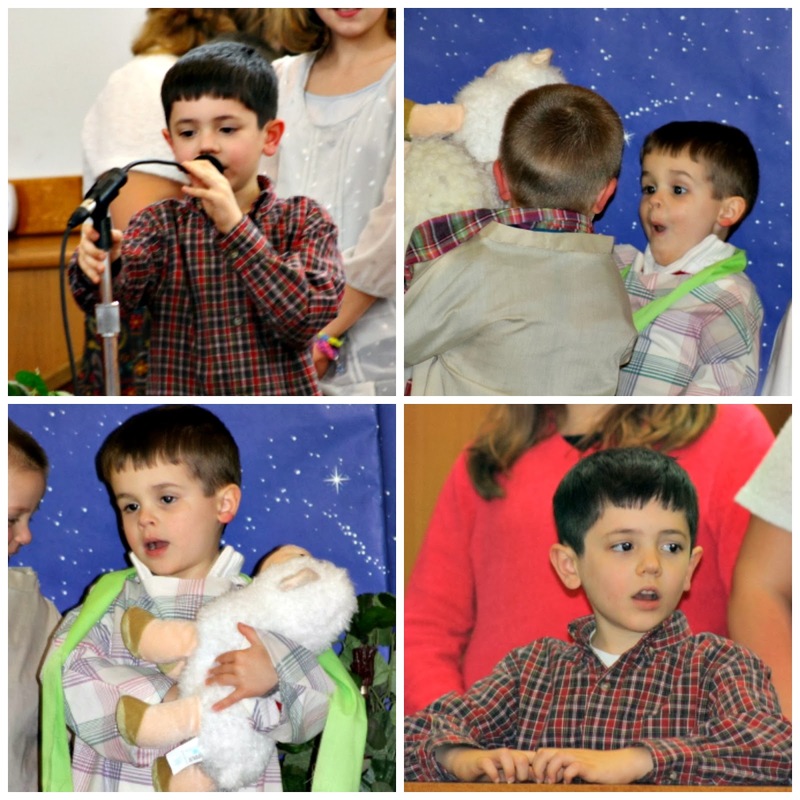 Then there was the Preschool Program. Can we say hysterically entertaining? Emory was a shepherd, and he did his job well. He spent more time tending the flock than paying any attention to the program, although he did join in on a couple songs. This age group is just unpredictable, but so funny! I'll finish off with these sweet pictures. 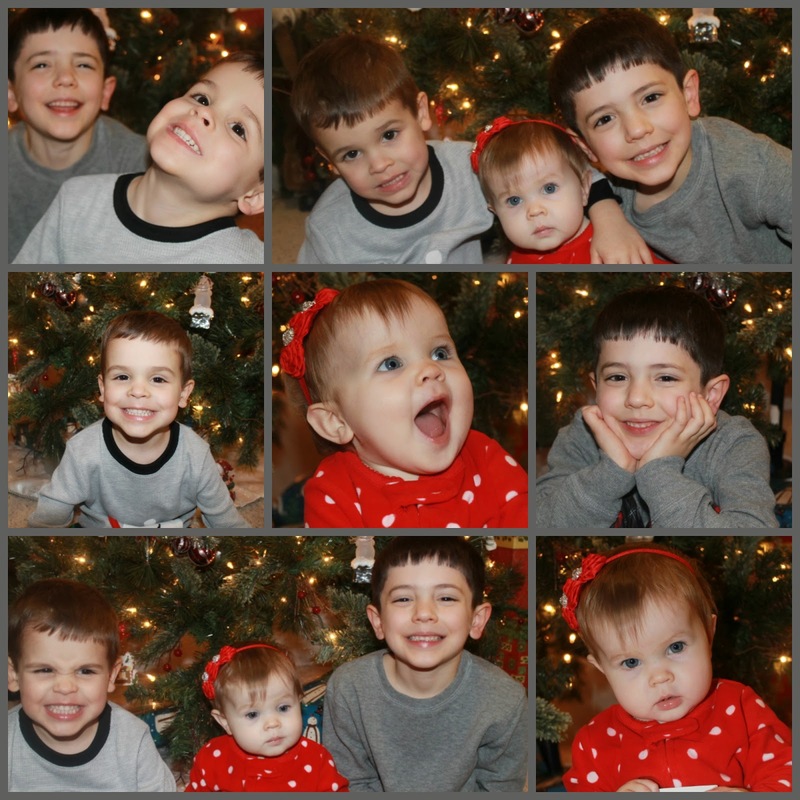 The most precious gifts in my life! The other night, when the boys were making their gingerbread houses my husband told us about the gingerbread ornament his grandmother had given him as a child. That story really stuck with my oldest, and the next morning, he was adamant that he was giving his daddy a special gingerbread ornament just like the one Granny had given him. What a heart my son has for seeing other people happy! Even though I'm not a huge fan of the kitchen, I could not say no . . . we had to make homemade ornaments. Daddy is also a Paula Deen fan, so Elliott was thrilled that we found these Paula Deen Gingerbread Hanging Ornaments. We used half the recipe for regular cookies, and half for ornaments. The only thing we did differently for the ornaments--after they baked, we did a layer of mod podge, painted (instead of iced) and did another layer of mod podge. Anyway, I don't think I really need to explain the process. When I was little, my own grandmother used to bake gingerbread cakes with me and my cousin, and while they baked she would always read us the story. This is is the The Gingerbread Man book (affiliate link) that we're reading this year. I love finding literature tie-ins whenever possible, or finding hands-on activities to go with our books, and these complement each other nicely. This post is part of the Blogging through the Alphabet series, for letter K! See what others are sharing this week by clicking the button below. I am always compiling book lists, if you haven't noticed. I love to look back from year to year to see what we had on our reading list, what we liked, and to note what we didn't get to so I can add it to a new list. I love book lists! I do add in a mix of "fun" books for Christmas. Fun has it's place, and my children are aware of that. With that said, we're working our way through our Christmas book list right now. Some links in this post are affiliate links. Thank you! There is a Polar Express Unit Study, if you're doing Christmas School. This makes a great movie night too! This one is a must, right? You can't have a Christmas Book read-a-thon without Mr. Grinch! This one also makes a fun movie night too. My review of The First Christmas Night will go into more detail, but this is set to the rhyme of The Night Before Christmas, with beautiful illustrations. This one is good for home and church. I read it aloud to my Sparks this year. This is our current chapter book read-aloud. It starts in December, so this is a good time of year for it. It also brings up some interesting topics for discussion, regarding homelessness and more. I started to read this aloud last year, and we just didn't get going with it, so it got shelved. I planned to squeeze this one in after The Family Under the Bridge, but I'm not sure if that will happen at this point. It's a fun read, but also has good talking points built right in about character, judging, and more. What do three lonely snowmen do on Christmas Eve? We did a fun Snowman art project last year with this one. This is a good one for the preschool crowd. While not an original, my boys still love Curious George in all his forms! 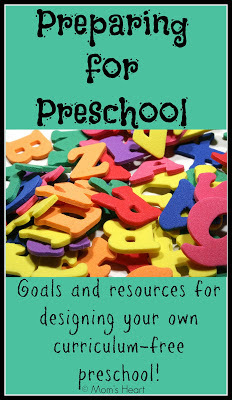 This one is also great for preschool and early elementary. The title of this one is self-explanatory, telling how the candy cane came to be, and what the colors and shape represent. There are some fun activities in the back, but we did candy cane science and art last year. I haven't read this one to the kids yet, but the Tub People remind me of Little People, so I picked it up when I found it at a used book sale. I have reviewed this book, and we have started our own Sparkle Box. This book opens an opportunity for enjoying the real Gift. A classic must-read. Pure fun! You can't go through Christmas without a little gingerbread. This is another great book for Christmas School, because you can expand it right into the kitchen with gingerbread ornaments, cookies or other baking. 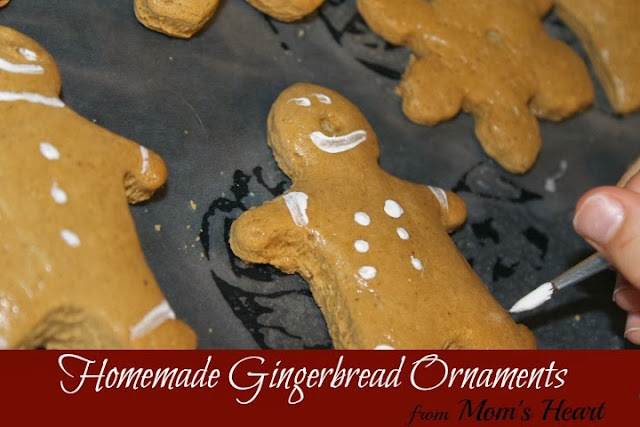 We made Homemade Gingerbread Ornaments for someone special this year! 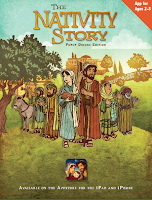 Not a book, but a storybook app we reviewed. It is fun and interactive for the kids! These are a few of the Christmas books available to read on We Give Books for free, so even if your library is all out of Christmas books, you can enjoy these! 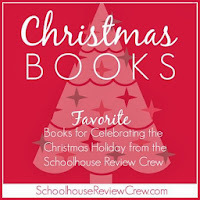 If you are like me, and are always looking for new book suggestions, the Schoolhouse Review Crew has a Christmas Book Round-Up, so be sure to check it out!